Excel Machine & Tool, Inc. was recently contracted for the engineering and development of a custom bracket wrap/tube hose assembly machine. 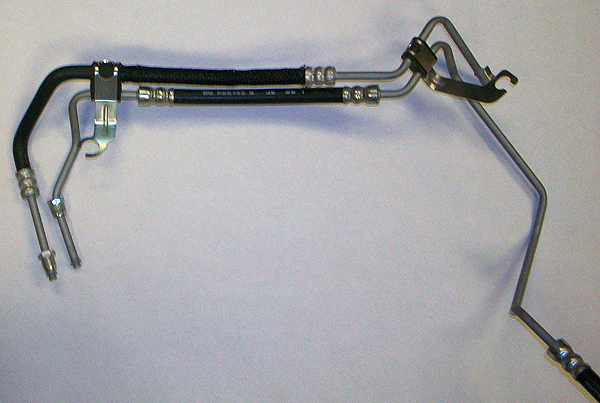 The system that this automotive customer required would have to combine two separate tube assemblies by wrapping brackets around the individual tube assemblies. This project is also another example of how we support our tube bending equipment customers with products that perform related operations. The machine they required had to not only provide quick effective operation, but also deliver repeatability and tolerances of ±1.5mm. With these requirements we developed and engineered a system that met all of the customers’ requirements. Fabrication required extensive machining, including milling, drilling, turning, and grinding. Machine components consisted of a machine base that was made from 2″ X 2″ square tubing and 5/8″ thick hot rolled steel plate. The guarding consisted of 16 gage sheet and expanded metal, framed in C-channel, and painted yellow and black. The tooling was composed of a combination of heat treated hot rolled steel, as well as A2 and S7 tool steel. All machining process are subject to stringent quality measure including dimensional and gage Inspections. Overall operation is verified through extensive functional testing. 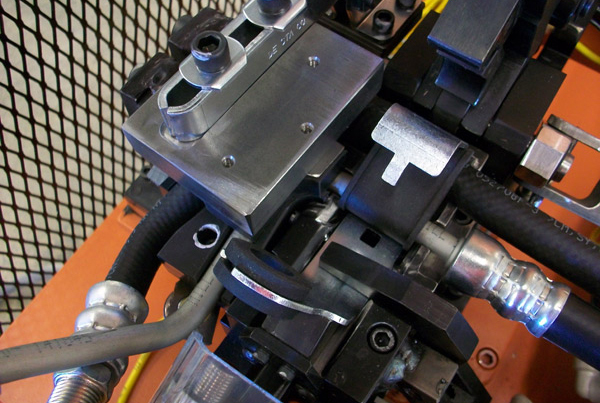 Equipment such as this bracket wrap/tube hose assembly machine has applications beyond the automotive industries. Our capabilities can be applied to equipment for use in applications for the agricultural, appliance, aerospace, and medical Industries.